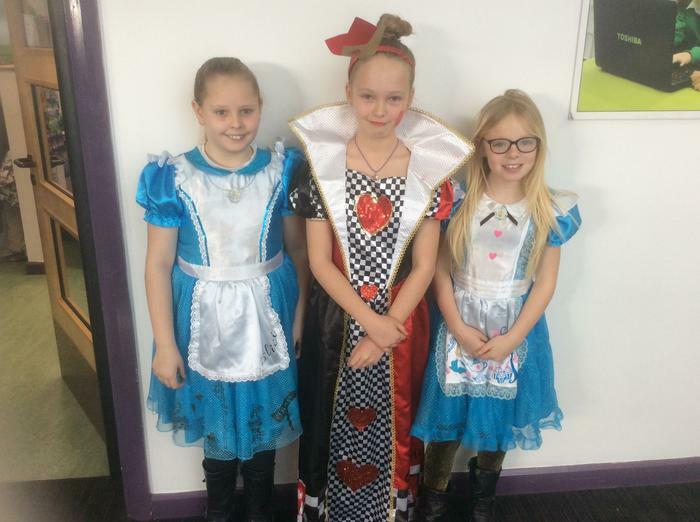 To celebrate Shakespeare Week we had some amazing visitors in. 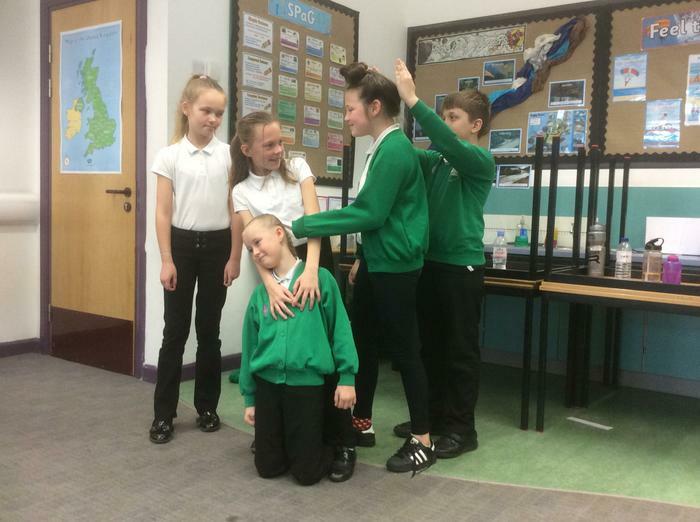 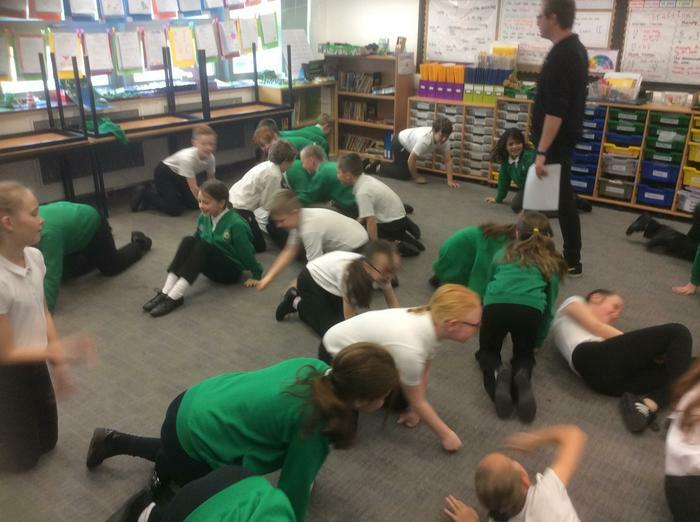 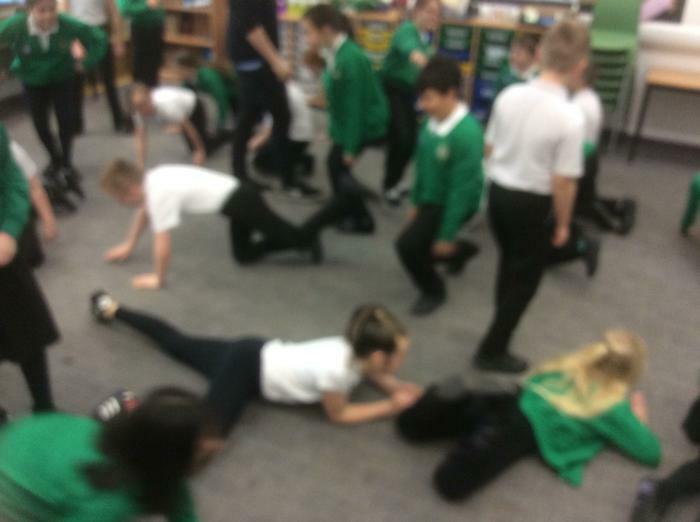 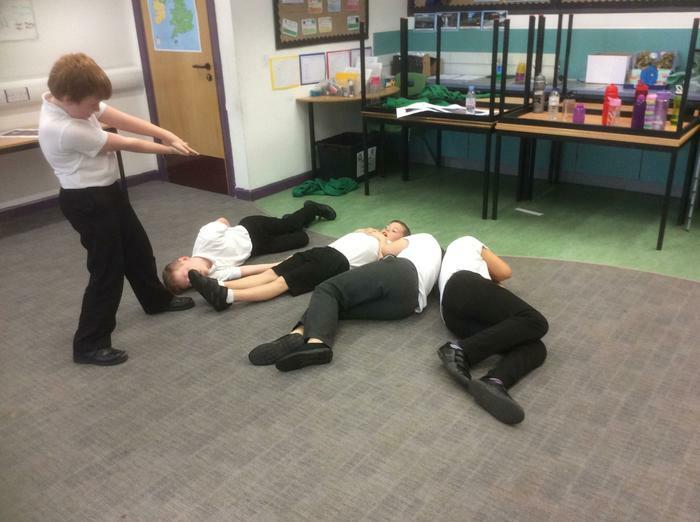 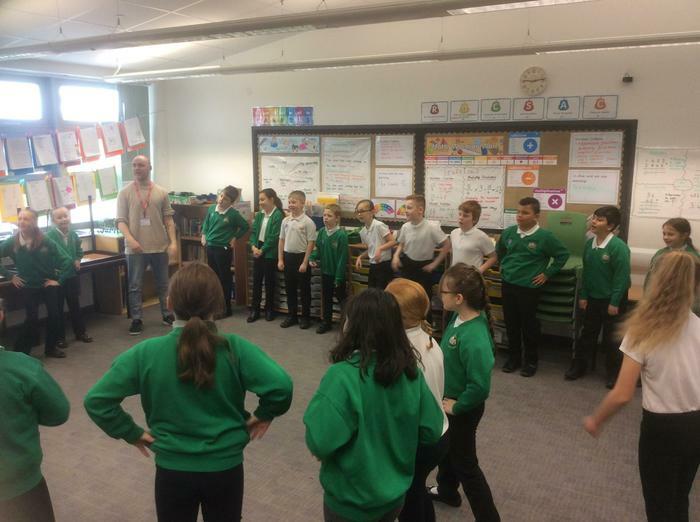 They did some Drama Workshops with us based on Shakespeare. 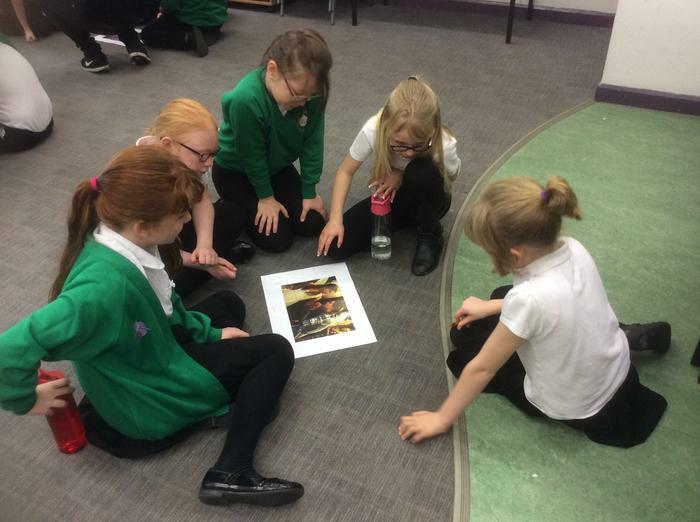 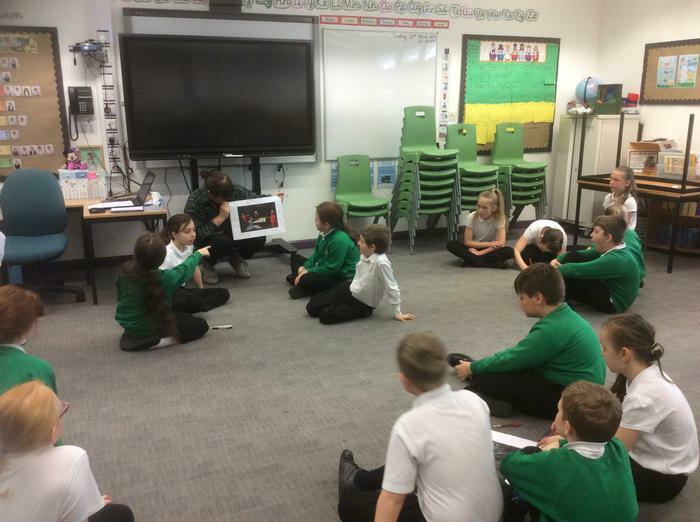 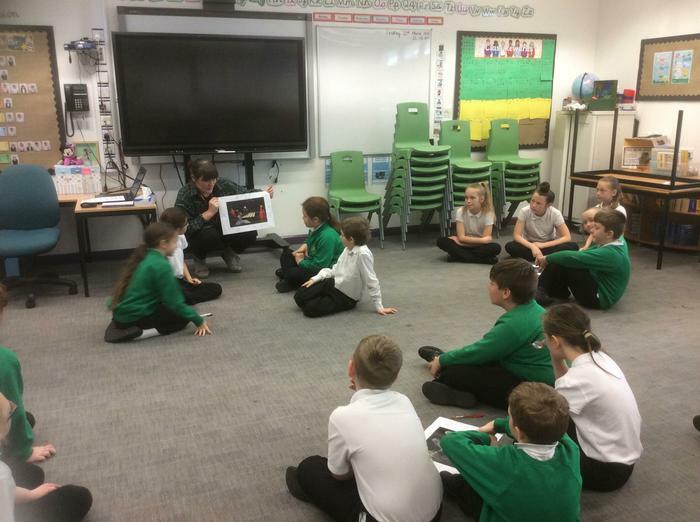 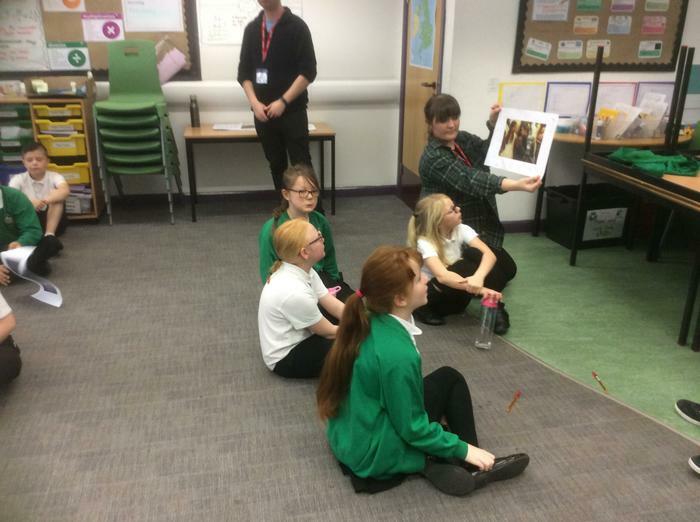 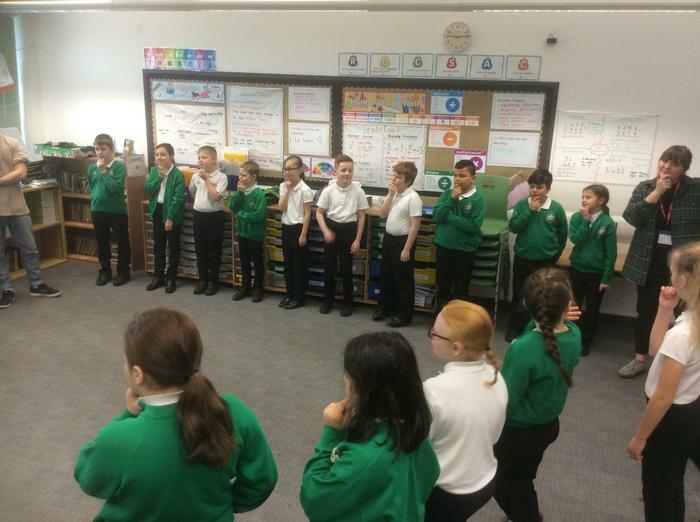 We looked at a range of his plays and did our own freeze frames and short plays. 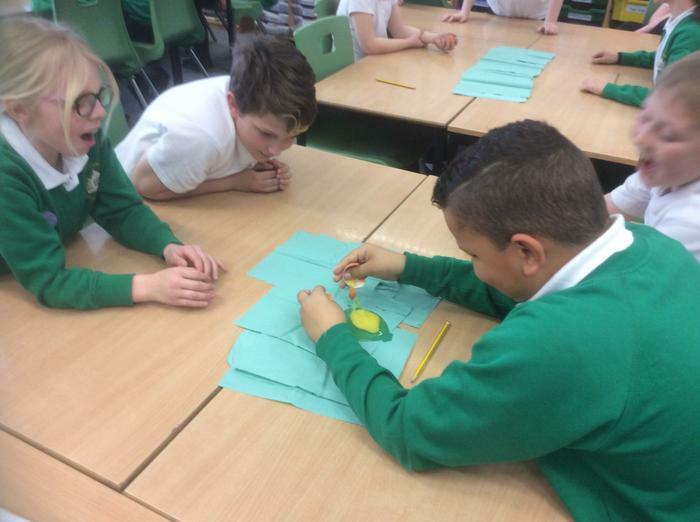 In Science this week, we learnt about a life cycle of a Bird. 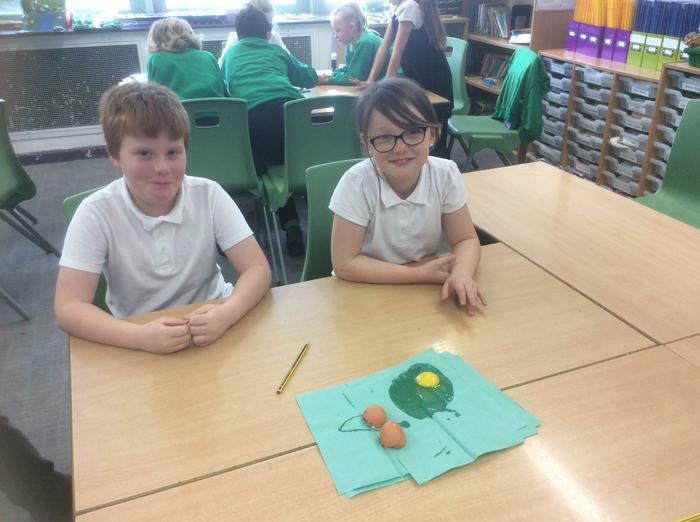 To begin with we looked at eggs and their different characteristics. 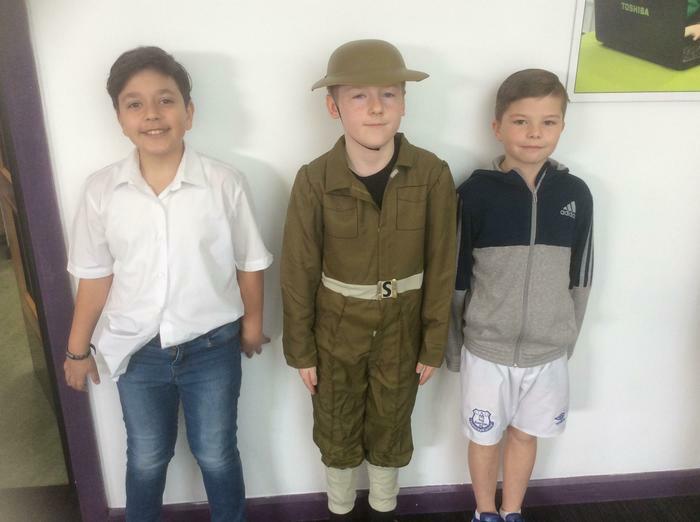 There are more than you think! 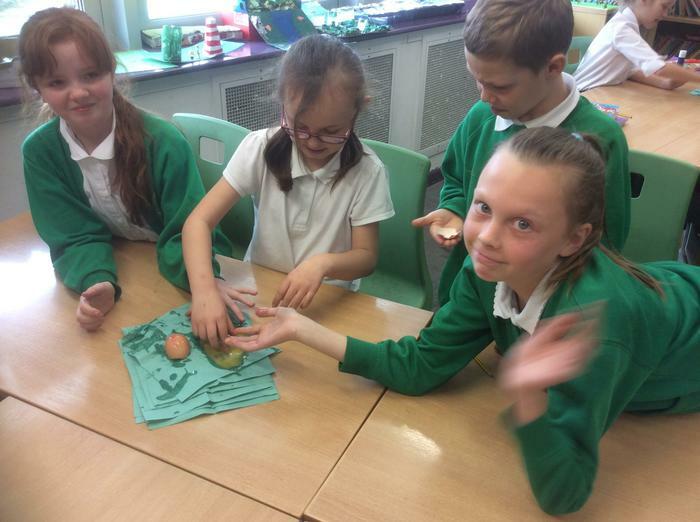 We enjoyed cracking the egg open to see what was inside. 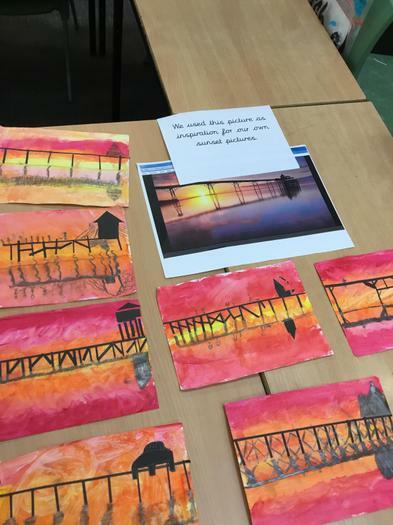 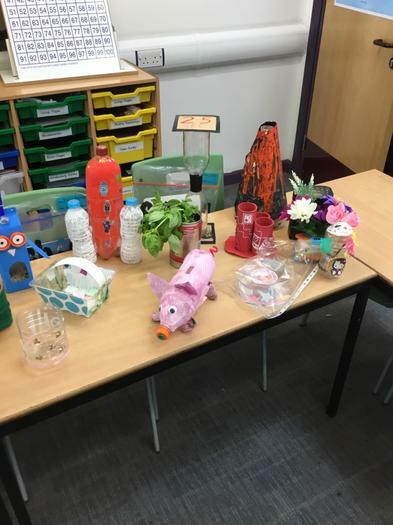 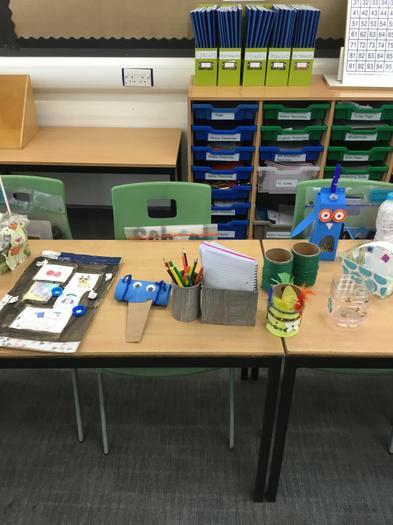 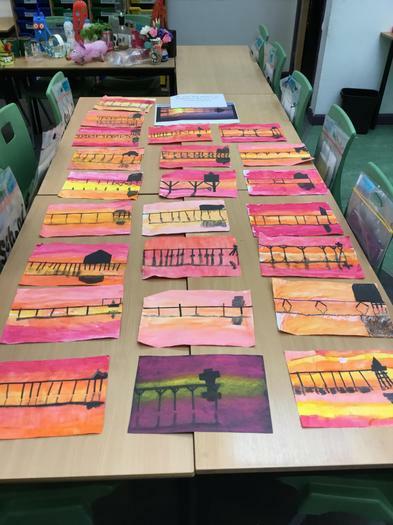 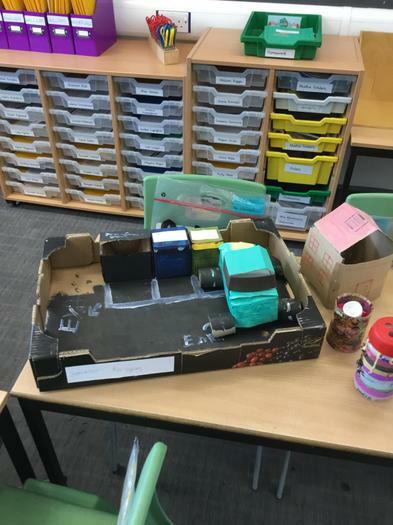 Look at our amazing homework! 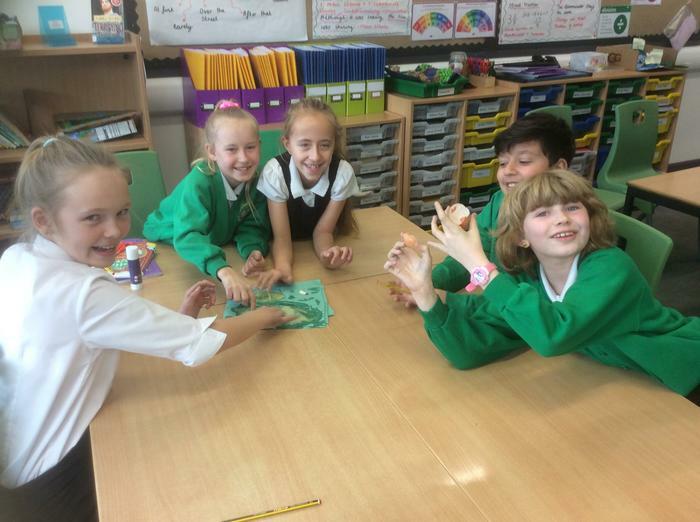 We were set the task of making a 3D River and identify the features within the model. 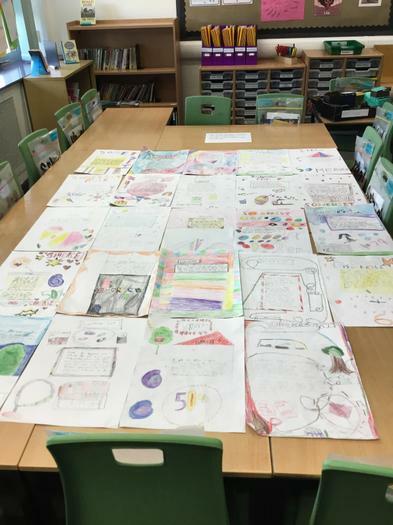 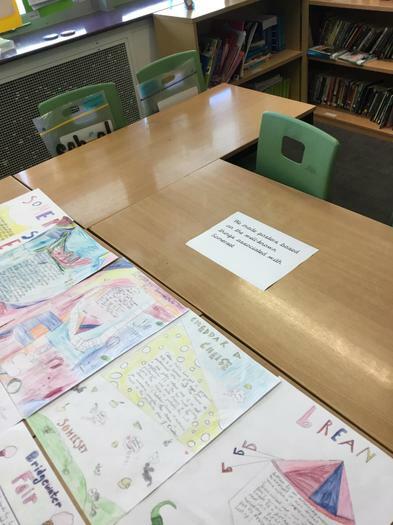 This week in Book Week, we all made our very own published book'. 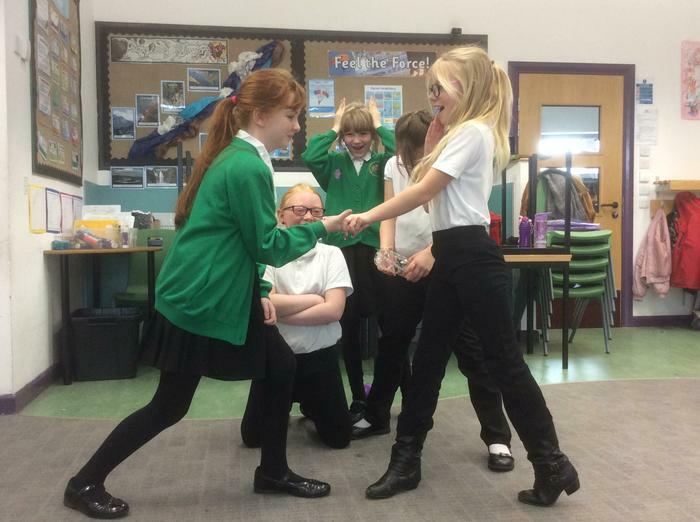 The groovy tale of Rapunzel. 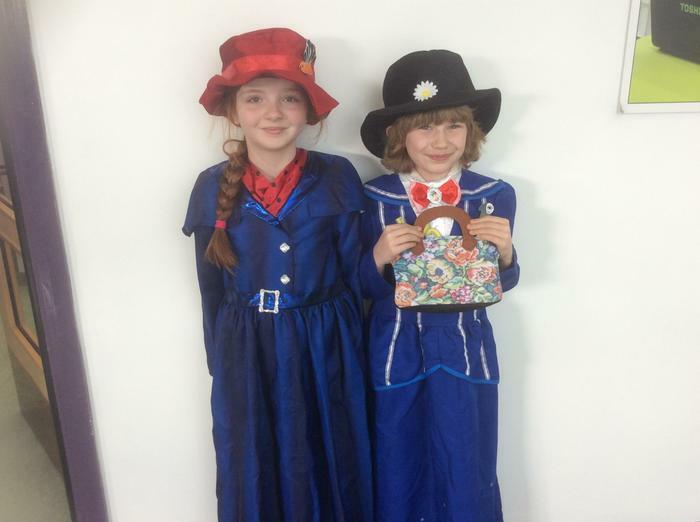 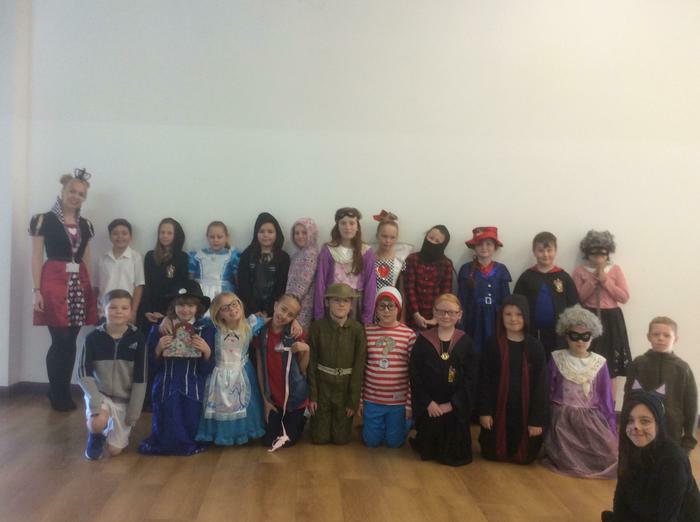 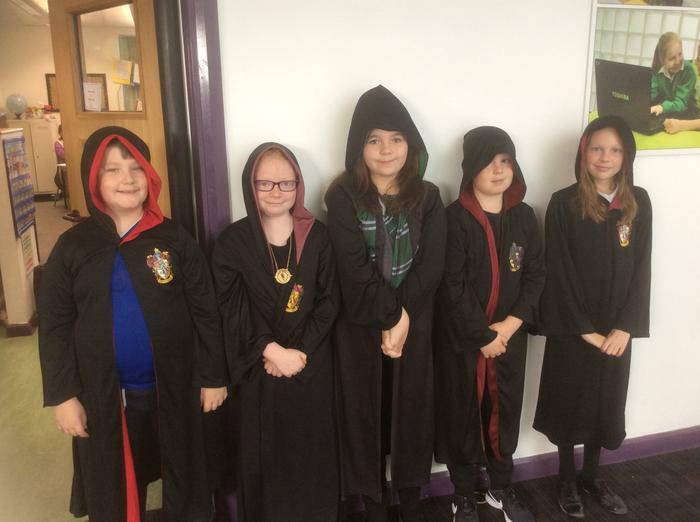 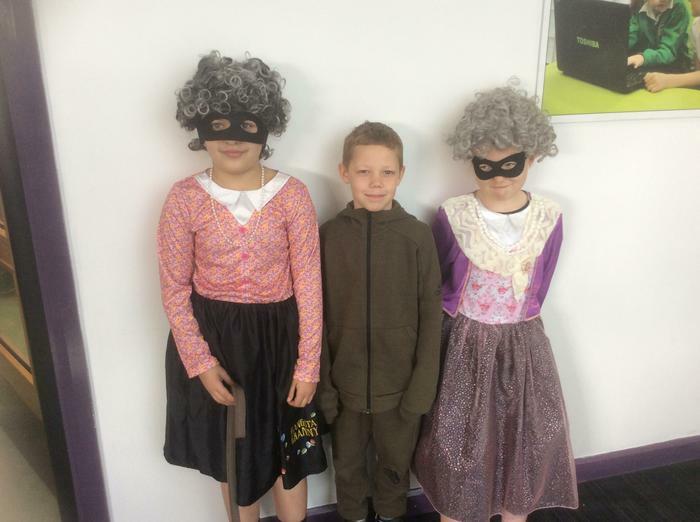 Happy World Book Day from Walnut Class! 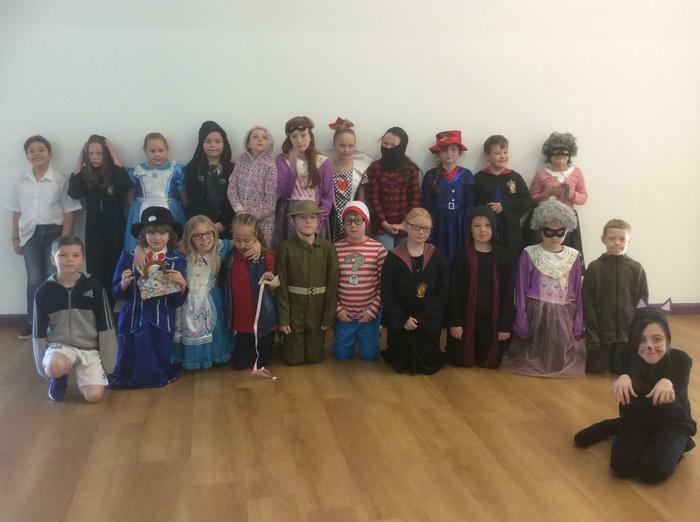 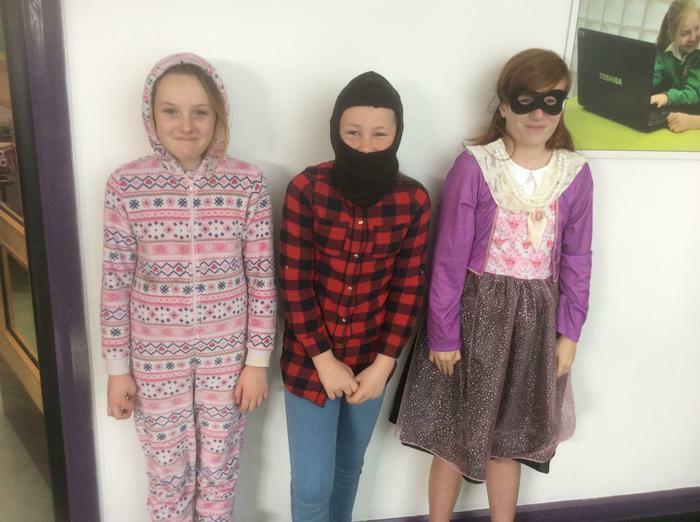 This week for green time, the class have picked to watch a film and get changed into their pyjamas. 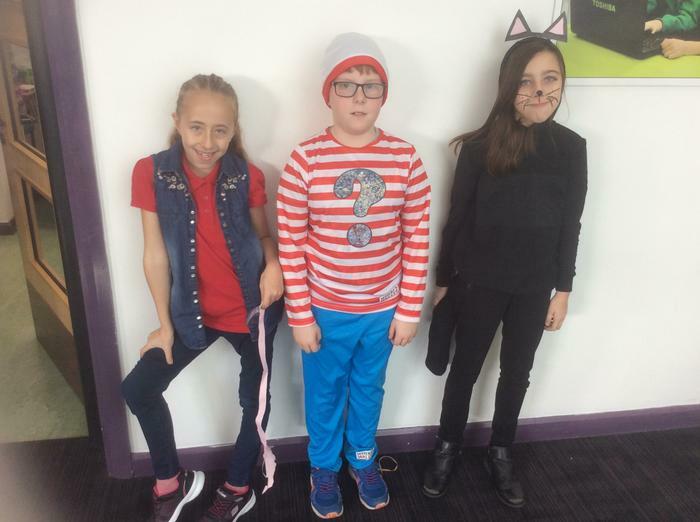 On Friday, if your child wishes to wear their pyjamas, please can they bring them in with them to get changed after lunch. 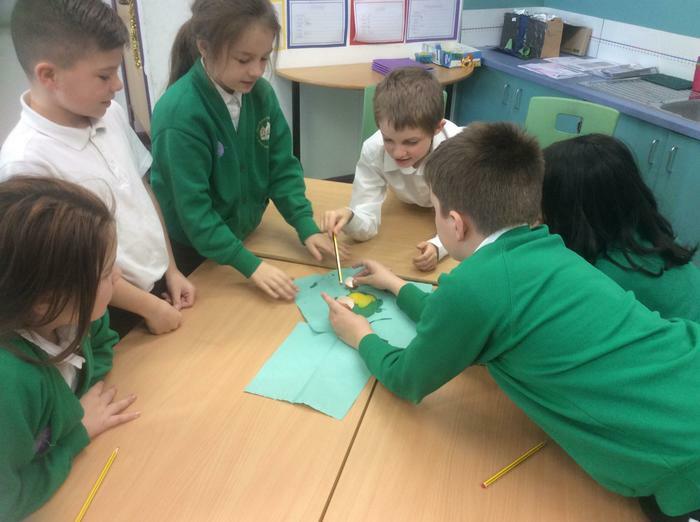 Making some costumes or props for World Book Day as part of Book Week! 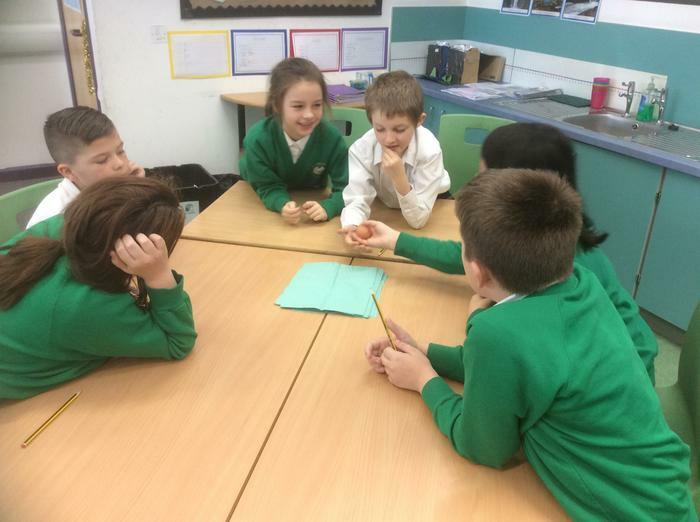 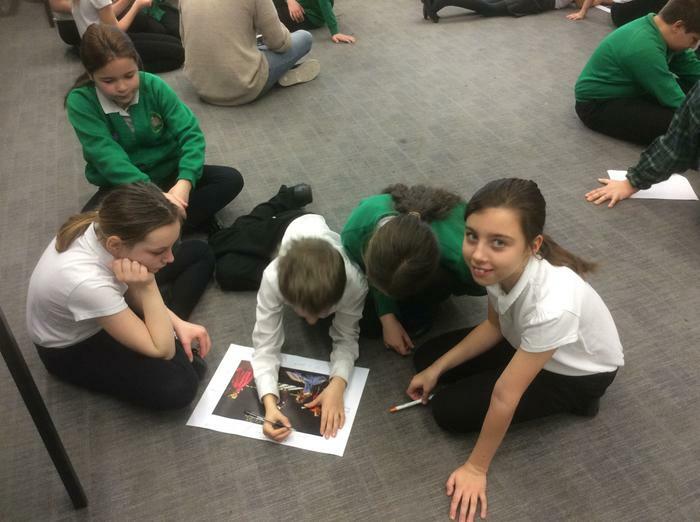 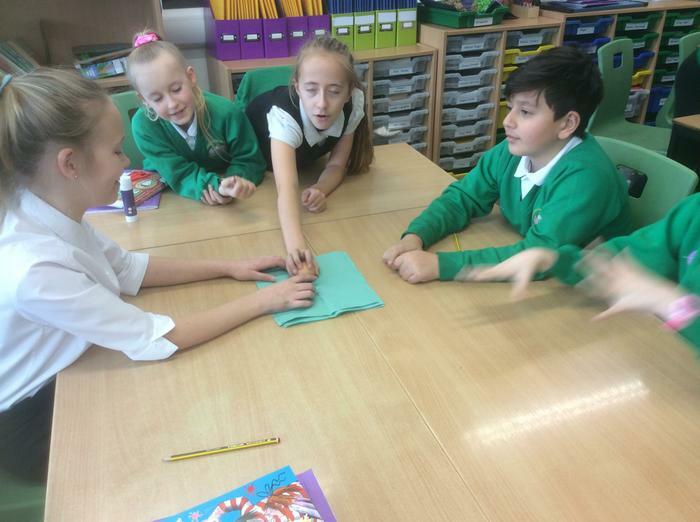 Working in groups to research a UK River. 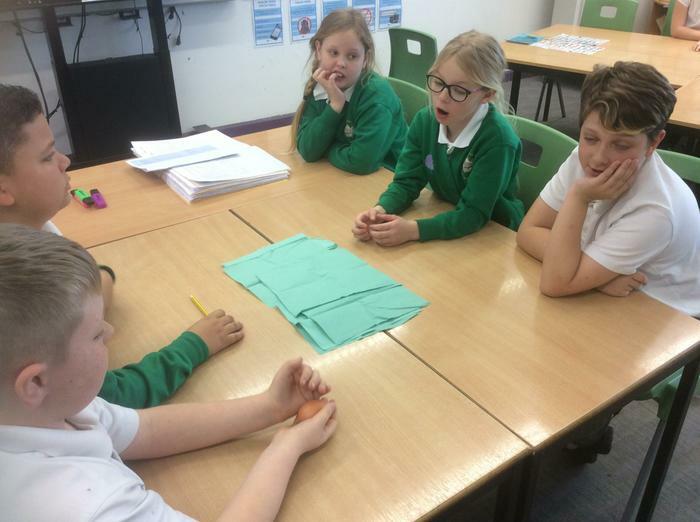 We are using our research to make a Microsoft PowerPoint which we will then perform to the class. 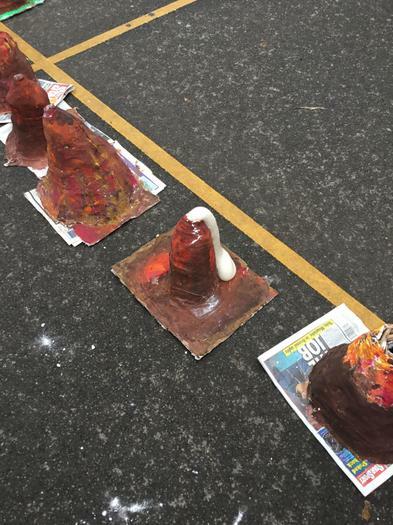 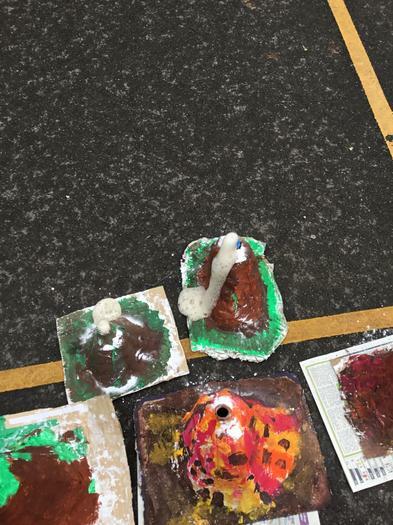 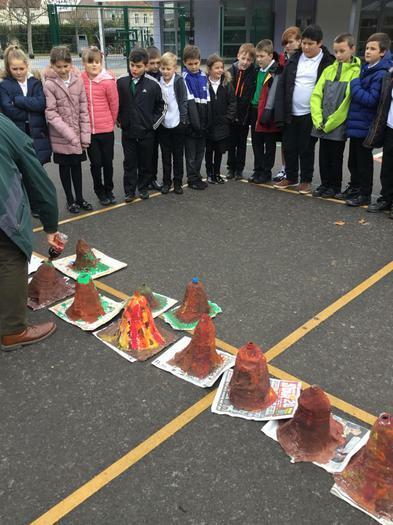 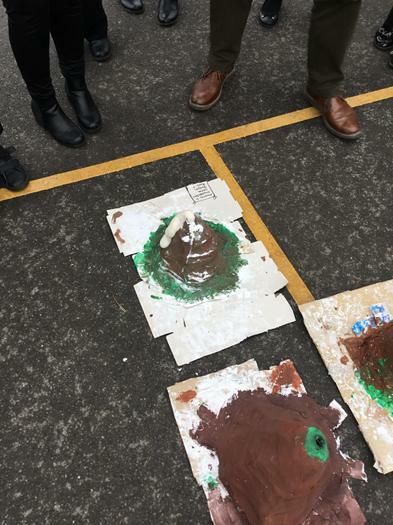 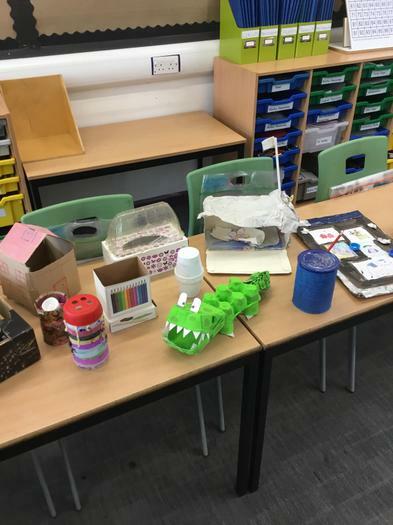 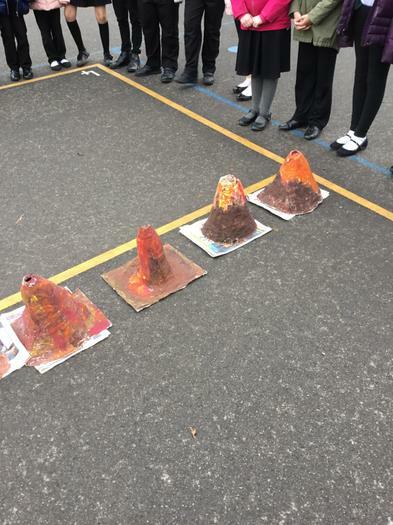 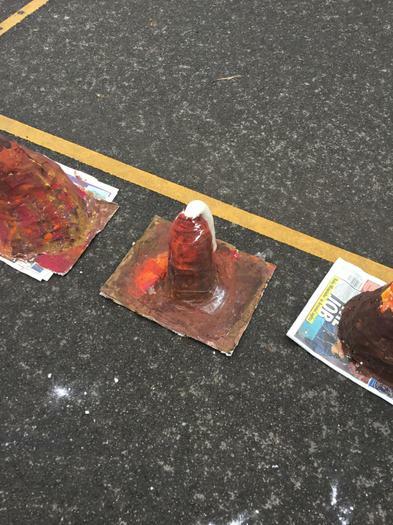 Year 5 finished their Volcano topic by erupting the ones that they had made in class!